Color in Space is dedicated to providing architectural color tools and guidance for the often overwhelming task of choosing paint colors. We provide pre-packaged color palettes in Benjamin Moore® and C2® Paint for sale on our website. While choosing paint colors definitely has an element of subjectivity, there are also some guidelines and principles based in physics. Because color is light reflected back to us, we can look to science to explain much of the phenomena we experience with architectural color. As a former educator, our founder Emily Lauderback has developed a methodology that uses the scientific basis of architectural color and allows the spaciousness for homeowners' individual taste and subjectivity. She likens the experience to creating music: we need to follow some rules like choosing a key and time signature, but then the selection and composition of the notes is the art. Emily's color consultations and pre-packaged palettes combine the scientific principles and the subjectivity for incredibly beautiful results every time. Emily Lauderback is the founder of Color in Space Inc. She also works independently as a color consultant and architectural designer, with a focus on kitchen and bath design. Northwest Oregon Full Service Design Showroom • Best of Houzz 2017! Custom Decorative Painting Company specializing in Beautiful Solutions for Walls and Furniture. Catering to both Commercial and Residential demographics, Urban Wallcovering is dedicated to providing designers, contractors, business owners and homeowners alike with the highest quality wallcovering and luxury vinyl tile flooring solutions. Fitz Painting, LLC, we offer custom painting services for both homes and businesses. When it comes to interior, exterior, and cabinet painting projects, we guarantee a clean premium finish. If you are interested, contact us today. We would love to hear from you! Fitz Painting, LLC was established in Covington, Washington in 2017. We are a family-owned business that specializes in commercial and residential custom painting work. Our owners, Rene and Marco, have more than 32 years of combined experience. Each of them has been working in the painting industry for more than 16 years. TemPAINT is the #1 peel-and-stick paint alternative for interior designers, DIY decorators, and anyone looking to change the look and feel of all the spaces they call home. With none of the mess and at only half the cost, TemPAINT provides an easy, do-it-yourself alternative for getting the look you love. 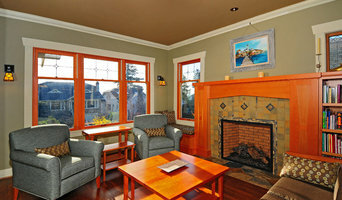 We are located in Seattle, Washington and specialize in high-end painting and decorative wall finishes. We bring old world finishes and modern techniques together to create stunning homes and beautiful interiors. Mywoodwall™ is a fast and easy-to-install wood wall paneling system, made from 100% sustainable sources. Just ‘Peel and Press’ to create a feature wall from any bare surface or add stylish highlights to any room by using mywoodwall™ wood paneling. We specially designed our paneling system to be applied by you or your friends. Our DIY system eliminates extra installation costs compared to other wall product options. 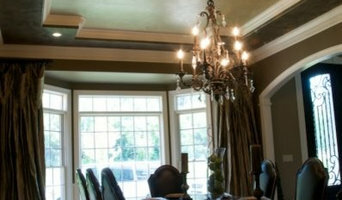 Universal is a high-end Painting company with over 35 combined years of experience. We are proud of our reputation as the premiere, dependable, service-oriented company that we have worked so hard to become. 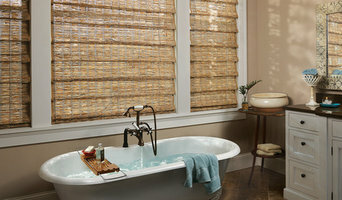 We strive to give our customers the best possible product with emphasis on longevity and durability. We are one of the few companies to go above and beyond to satisfy our clients even when something doesn’t go according to plan. Commitment, quality workmanship, and customer service is what sets us apart from the crowd in this business. Hiring a high-quality painting company is an important decision and we'll provide you with outstanding service-soup to nuts. Online retailer of globes & maps. Many exclusive designs and custom options available. 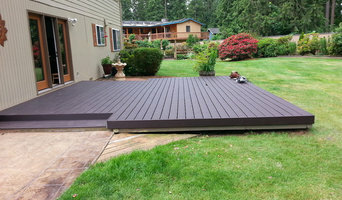 Clear Skies Contracting is a new contracting company operating in the Greater Seattle Area. CSC is built on the principle of our clients never needing another contractor again. Our goal is to do this through exceptional quality and personalized customer service. We understand that your home is the most important investment you make in life and it is an honor to be entrusted with its improvement and protection. As this is the first year of Clear Skies I will discuss my personal experience. I have been working in contracting for 3 years, specializing personally in exterior repaints and board replacement. I have personally overseen the production of more than a hundred homes. I have always put my clients' satisfaction as my first priority and have never had a cancellation in my entire career. Going forward this is a record that I plan to uphold. Studio C was originated by Cathy Conner as Conner Decorative Finishes in 1999. Having established herself as a decorative painter and wanting to include more artists and craftsmen in her endeavor, Cathy developed Studio C with an ensemble of talented artisans. Studio C has become known for beautiful projects that reflect distinctive artisan signatures and individual styles in the techniques and finishes. Studio C has expanded to offer a complete portfolio of traditional, contemporary and modern decorative finishes. All finishes are custom colored and designed for each project. Interior & Exterior Painting. Free color consultation! Natural Plasters | Artistic Surfaces | Materials & Training Stucco Italiano is your source for authentic earth-friendly lime plasters from Italy. Highly durable and non-toxic, timelessly beautiful and versatile, Stucco Italiano Venetian plasters are ideal for both interiors and exteriors and are appropriate for use in residential or commercial projects. Certified Stucco Italiano applicators are available throughout the Pacific Northwest and North America. We offer expert support through the design, installation, and maintenance phases of your project. Feel free to contact our showroom to schedule a visit. If painting your walls or installing wallpaper aren’t your favourite jobs, it’s very well worth considering hiring a professional for it. Not just for the obvious time-saving, but there’s actually more to a good paint or wallpaper job that you might think! Whether you’re looking to paint your bedroom or living room, you’re always starting from the all-encompassing question of which colour to paint your walls or which wallpaper to choose. The next challenge is selecting the best product for your needs. And don’t even mention the work involved in preparing the wall and applying the paint so it lasts. If you’re looking for a professional house painter or wallpaper installer in Seattle, WA you’ve come to the right place. You’re sure to find the best painter for your job in the Houzz professional directory. Here on Houzz, you’ll also find Seattle, WA professionals who can create a more creative wall design for your home, including wall murals or custom wallpaper. Murals drawn by an artist will often require a large space, but it’s worth investigating if you’d like a one-off feature wall every visitor will remember. If you’re after advice rather than application, here you’ll also find colour specialists that can help you in your quest for choosing the right paint colours or wallpapers for your abode. Scroll through this page to find painters and wallpaper installers in Seattle, WA. You can browse their latest projects, read reviews to see how other homeowners rate their work, and message them directly.